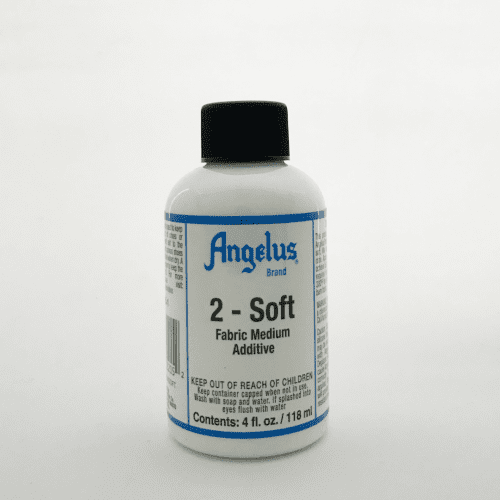 An absolute must-have when working on fabrics such as the sock-liner of shoes and other soft fabrics. 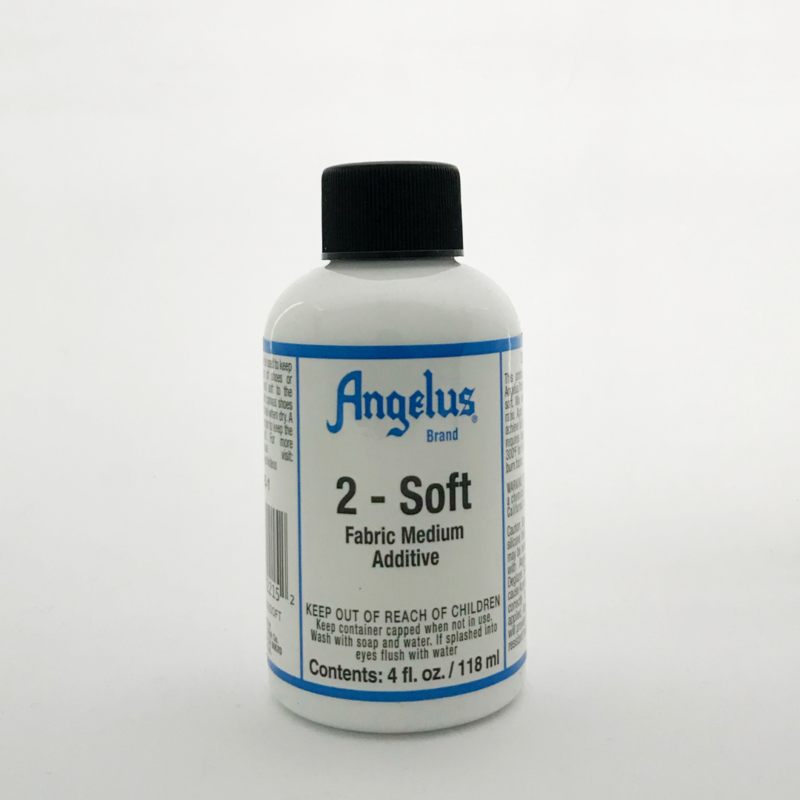 When heat-set properly, this Fabric Medium will help keep your fabrics nice and soft after being painted. 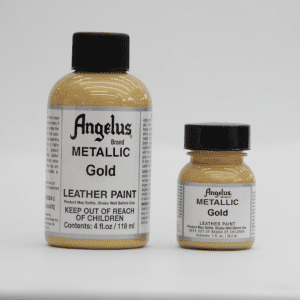 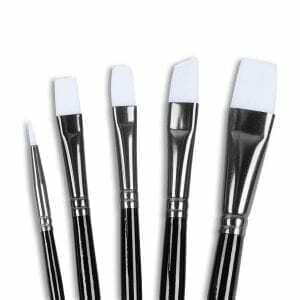 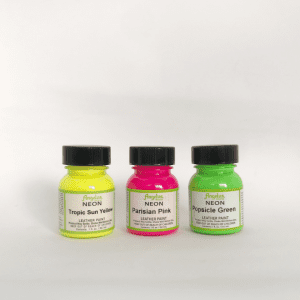 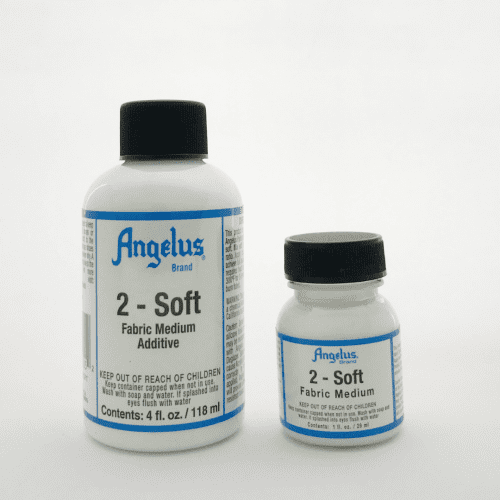 Mix Angelus 2-Soft with Angelus Acrylic Paints in a 1:1 ratio. 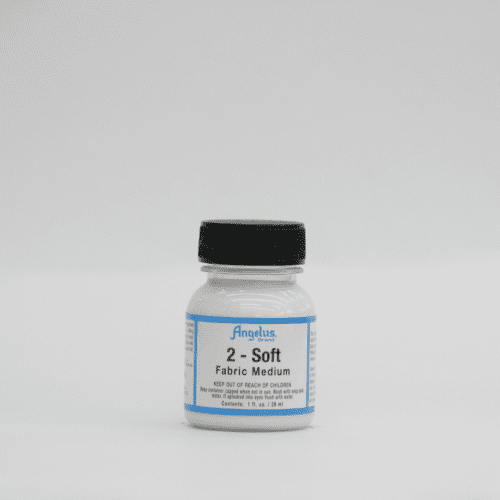 Apply multiple coats until you obtain full and even coverage. 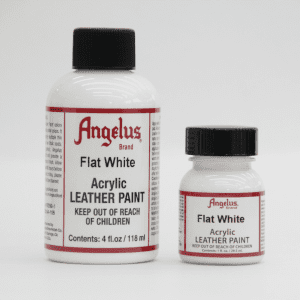 Allow paint to completely dry. 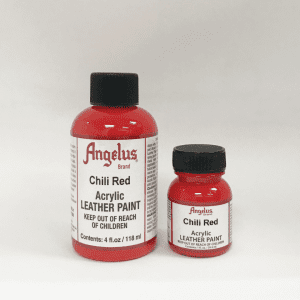 Heat-set using a heatgun at 300º F for 3-5 minutes (this step is REQUIRED). 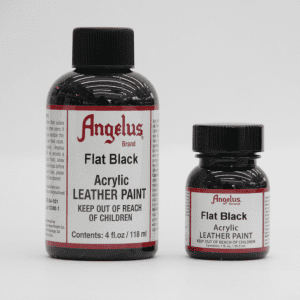 This product contains Formaldehyde, a chemical known to the State of California to cause cancer. 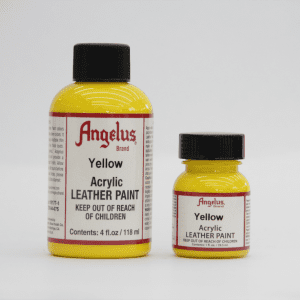 Use with proper ventilation.